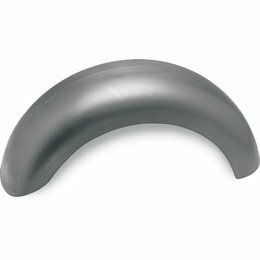 Heavy-gauge steel construction; available in seven popular widths Intended for rigid frames only Each fender is inspected personally by a master fender builder to ensure straightness, consistency and a flawless finish with an absolute minimum of finishing bodywork Fenders come undrilled so you can position them to look and work best for your application Made in the USA Width: 9" Length: 37-1/2" Style: 9000R for left side drive models Please Note: The image displayed is representative of the item, but may vary depending on your specific model. 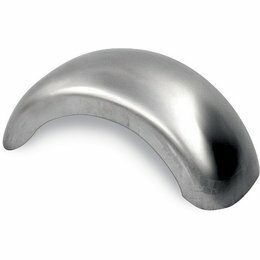 Heavy-gauge steel construction; available in seven popular widths Intended for rigid frames only Each fender is inspected personally by a master fender builder to ensure straightness, consistency and a flawless finish with an absolute minimum of finishing bodywork Fenders come undrilled so you can position them to look and work best for your application Made in the USA Width: 7.25" Length: 37-1/2" Style: 9000R for left side drive models Please Note: The image displayed is representative of the item, but may vary depending on your specific model. 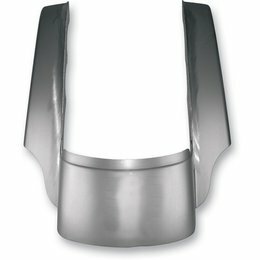 Heavy-gauge steel construction; available in seven popular widths Intended for rigid frames only Each fender is inspected personally by a master fender builder to ensure straightness, consistency and a flawless finish with an absolute minimum of finishing bodywork Fenders come undrilled so you can position them to look and work best for your application Made in the USA Width: 8.5" Length: 37-1/2" Style: 9000R for left side drive models Please Note: The image displayed is representative of the item, but may vary depending on your specific model. Heavy-gauge steel construction; available in seven popular widths Intended for rigid frames only Each fender is inspected personally by a master fender builder to ensure straightness, consistency and a flawless finish with an absolute minimum of finishing bodywork Fenders come undrilled so you can position them to look and work best for your application Made in the USA Width: 11" Length: 37-1/2" Style: 2000R for left side drive models Please Note: The image displayed is representative of the item, but may vary depending on your specific model. 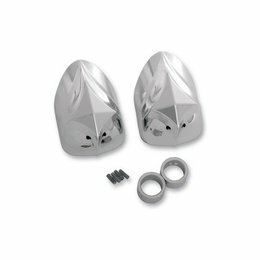 Heavy-gauge steel construction Predrilled; no spacers required Features flat mounting surface for the electronic panel Made in the USA Style: 9-1/2"W, standard length Please Note: The image displayed is representative of the item, but may vary depending on your specific model. 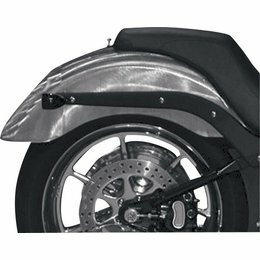 Heavy-gauge steel construction; available in seven popular widths Intended for Swingarm frames, fender features wiring tubes Each fender is inspected personally by a master fender builder to ensure straightness, consistency and a flawless finish with an absolute minimum of finishing bodywork Fenders come undrilled so you can position them to look and work best for your application Made in the USA Width: 8.5" Length: 42-1/2" Style: Longshot Please Note: The image displayed is representative of the item, but may vary depending on your specific model. 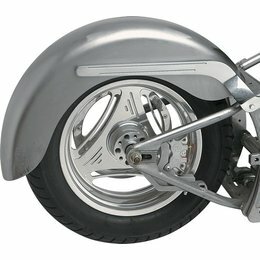 Heavy-gauge steel construction; available in seven popular widths Intended for Swingarm frames, fender features wiring tubes Each fender is inspected personally by a master fender builder to ensure straightness, consistency and a flawless finish with an absolute minimum of finishing bodywork Fenders come undrilled so you can position them to look and work best for your application Made in the USA Width: 9" Length: 42-1/2" Style: Longshot Please Note: The image displayed is representative of the item, but may vary depending on your specific model. 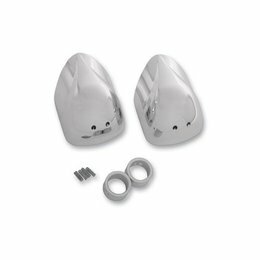 Heavy-gauge steel construction; available in seven popular widths Intended for Swingarm frames, fender features wiring tubes Each fender is inspected personally by a master fender builder to ensure straightness, consistency and a flawless finish with an absolute minimum of finishing bodywork Fenders come undrilled so you can position them to look and work best for your application Made in the USA Width: 7.25" Length: 42-1/2" Style: Longshot Please Note: The image displayed is representative of the item, but may vary depending on your specific model. 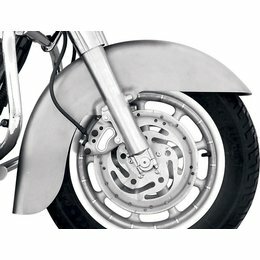 Heavy-gauge steel construction; available in seven popular widths Intended for Swingarm frames, fender features wiring tubes Each fender is inspected personally by a master fender builder to ensure straightness, consistency and a flawless finish with an absolute minimum of finishing bodywork Fenders come undrilled so you can position them to look and work best for your application Made in the USA Width: 9" Length: 34" Style: Gambler Please Note: The image displayed is representative of the item, but may vary depending on your specific model. 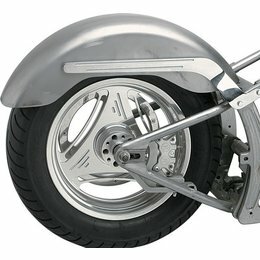 Heavy-gauge steel construction; available in seven popular widths Intended for Swingarm frames, fender features wiring tubes Each fender is inspected personally by a master fender builder to ensure straightness, consistency and a flawless finish with an absolute minimum of finishing bodywork Fenders come undrilled so you can position them to look and work best for your application Made in the USA Width: 8.5" Length: 34" Style: Gambler Please Note: The image displayed is representative of the item, but may vary depending on your specific model. 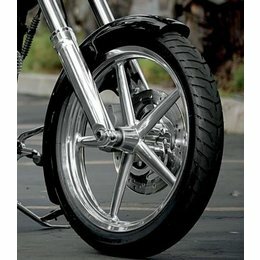 Heavy-gauge steel construction; available in seven popular widths Intended for Swingarm frames, fender features wiring tubes Each fender is inspected personally by a master fender builder to ensure straightness, consistency and a flawless finish with an absolute minimum of finishing bodywork Fenders come undrilled so you can position them to look and work best for your application Made in the USA Width: 7.25" Length: 34" Style: Gambler Please Note: The image displayed is representative of the item, but may vary depending on your specific model. 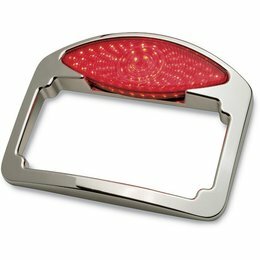 Heavy-gauge steel construction Large enough to cut out custom style Made in the USA Style: 11" wide for rigid frames only Please Note: The image displayed is representative of the item, but may vary depending on your specific model. 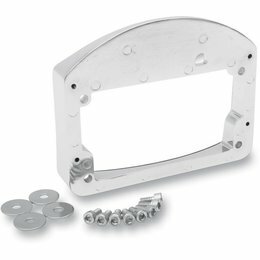 Heavy-gauge steel construction Large enough to cut out custom style Made in the USA Style: 9" wide, for swingarm frames only Please Note: The image displayed is representative of the item, but may vary depending on your specific model. 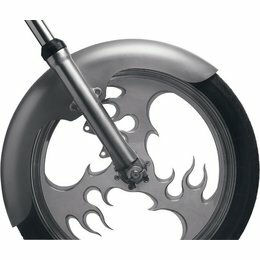 Heavy-gauge steel construction Large enough to cut out custom style Made in the USA Style: 11" wide, for swingarm frames only Please Note: The image displayed is representative of the item, but may vary depending on your specific model. 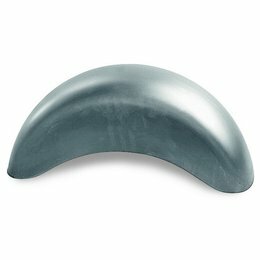 Heavy-gauge steel construction Fenders are inspected personally by a master fender builder to ensure straightness, consistency and a flawless finish with an absolute minimum of finishing bodywork Comes undrilled (unless noted) so you can position it to look and work best for your application Made in the USA Width: 5.5" Style: Long OCF for 21" wheels (45"L x 14-1/4" radius) Please Note: The image displayed is representative of the item, but may vary depending on your specific model. 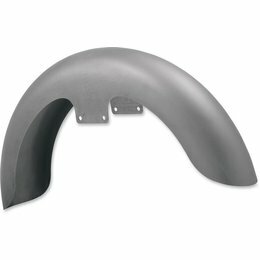 Wide, heavy-gauge 16-gauge steel construction Fenders are inspected personally by a master fender builder to ensure straightness, consistency and a flawless finish with an absolute minimum of finishing bodywork Comes predrilled for easy installation Require spacers Made in the USA Style: 6-1/2"W for 21" front wheels Please Note: The image displayed is representative of the item, but may vary depending on your specific model. 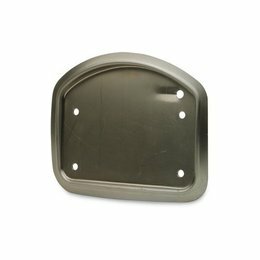 Direct bolt-on, no spacers required Constructed of 16-gauge steel with unpainted raw finish Measures 35-1/2 contour length, 4-3/4" mounting width and 4-3/4" width across the top Designed specifically for 19' wheels Made in the USA Fender is unpainted, despite image shown. 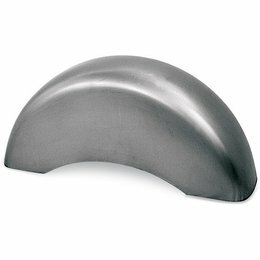 Heavy-gauge steel construction Fenders are inspected personally by a master fender builder to ensure straightness, consistency and a flawless finish with an absolute minimum of finishing bodywork Comes undrilled (unless noted) so you can position it to look and work best for your application Made in the USA Width: 4.5" Style: Long OCF, for 21" wheels Please Note: The image displayed is representative of the item, but may vary depending on your specific model.